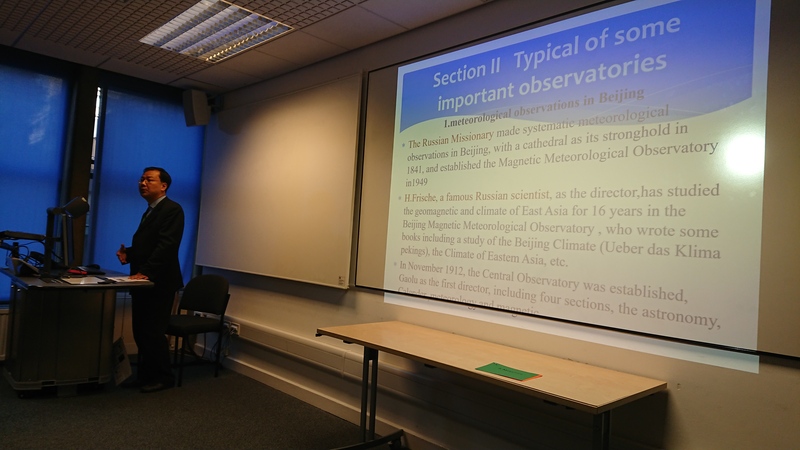 Two linked symposia on “(Dis)Continuity Between the East and the West: The History of Meteorological Knowledge Transfer in Colonial Contexts”, sponsored by the International Commission for the History of Meteorology, took place in London this month during the conference of the European Society for the History of Science (14-17 September 2018). 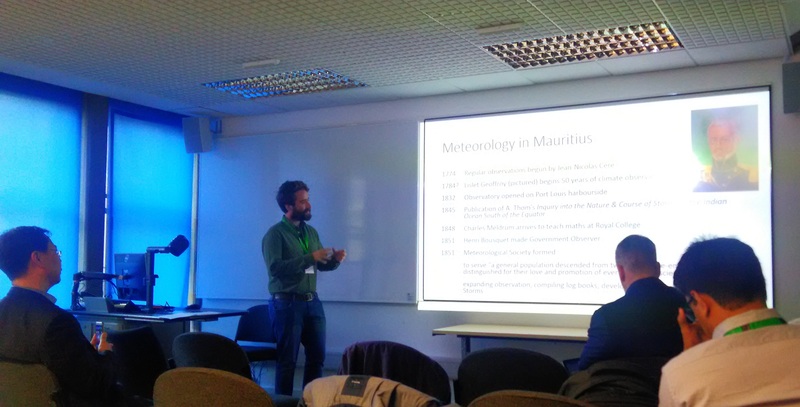 The symposia, convened by Fiona Williamson, Vladimir Jankovic and Alexander Hall, featured six talks on meteorological history across time and space. The talks investigated colonial contexts in a time frame that ranged from the early modern age to the twentieth century. The symposia engaged with the overarching theme of the conference – unity and disunity – by addressing continuities and discontinuities in Western and Eastern approaches to meteorology. ‘How did Western meteorological knowledge travel to the East?’, ‘What were the people and institutions that promoted its dissemination?’, ‘How was it received?’, ‘What kind of transformations and adaptations took place in the East?’ were questions common to all the talks presented at the conference. The first symposium featured contributions from Zhenghong Chen (China Meteorological Administration Training Centre) on Chinese meteorology in the colonial era, Huib Zuidervaart (Huygens Institute for the History of the Netherlands) and Stefan Grab (University of Witswatersrand) on meteorological observations in the Dutch colonies during the early modern period, and Martin Mahony (University of East Anglia) on meteorological knowledge production in colonial Mauritius. During the second symposium George Adamson (King’s College London) discussed Gilbert Walker’s work on Indian climate and the Southern Oscillation, Joan Kenworthy (Independent scholar) considered how local meteorological knowledge influenced the understanding of climate in the Kenyan highlands, and Giuditta Parolini (TU Berlin) addressed the case of agricultural meteorology in French Indochina during the early twentieth century. The symposia were conceived as an opportunity to investigate the networks of meteorological knowledge exchange between East and West, so far understudied, and to examine how this knowledge exchange affected the material culture and intellectual terrain of the atmospheric sciences both in the colonies and in the West. As argued by Zuidervaart and Grab, the creation of meteorological knowledge in colonial contexts has a long history indeed. Meteorological observations were already common in Dutch colonial settlements in the early modern age and the records of these meteorological observations found their way back to the homeland, where they were discussed within scientific societies. During the colonial age, Western meteorological science often contributed to the growth of local knowledge in the atmospheric sciences. As discussed by Chen, China offers a clear example of this, because the work done by missionaries and the observatories built by Western nations promoted the development of a local tradition in meteorology. Yet, it would be mistaken to assume that local meteorological knowledge did not exist in the colonies. 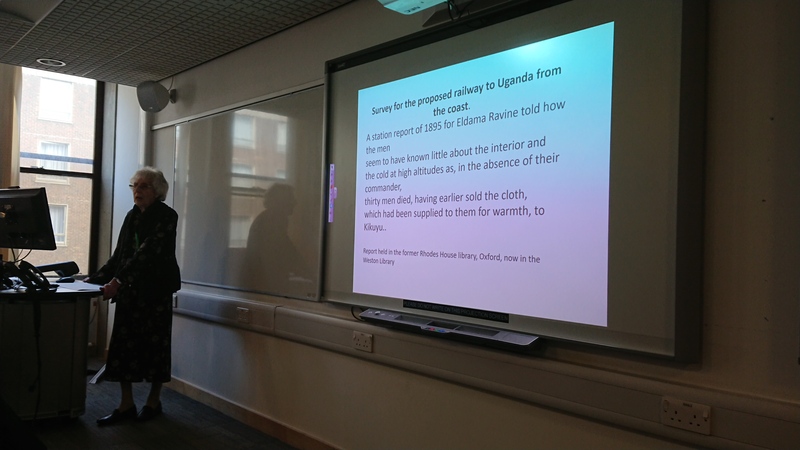 In the case of East Africa discussed by Kenworthy, colonial and local meteorological knowledge both existed, but issues arose in the attempt to merge the two discourses. Starting from the nineteenth century, meteorological knowledge became a key asset in the colonies due to the value of meteorological data in many human enterprises, ranging from agriculture to navigation. The meteorological observatory in Port Louis, Mauritius, discussed by Mahoney, and the agrometeorological service in French Indochina, discussed by Parolini, are just two examples of the economic value that meteorological knowledge increasingly acquired, and how colonial authorities sought to generate and exploit such knowledge. Adamson’s talk on the Southern Oscillation added an additional perspective. If Gilbert’s research was prompted by the economic issues posed by the variability of the monsoon in India, understanding his theory of the Southern Oscillation requires shifting the vision from a place-specific case study to the spatially connected world of climate oscillations. The stimulating questions and engaging discussions that took place during the Q&A contributed further to enlarge the panorama of meteorological knowledge in the colonies by establishing comparisons with case studies of colonial meteorology not discussed during the panel, and by drawing connections between historical, geographical and cultural studies of weather and climate. Posted on September 26, 2018 by Giuditta Parolini. This entry was posted in Conference. Bookmark the permalink.